The Padres swinging friar logo is great. 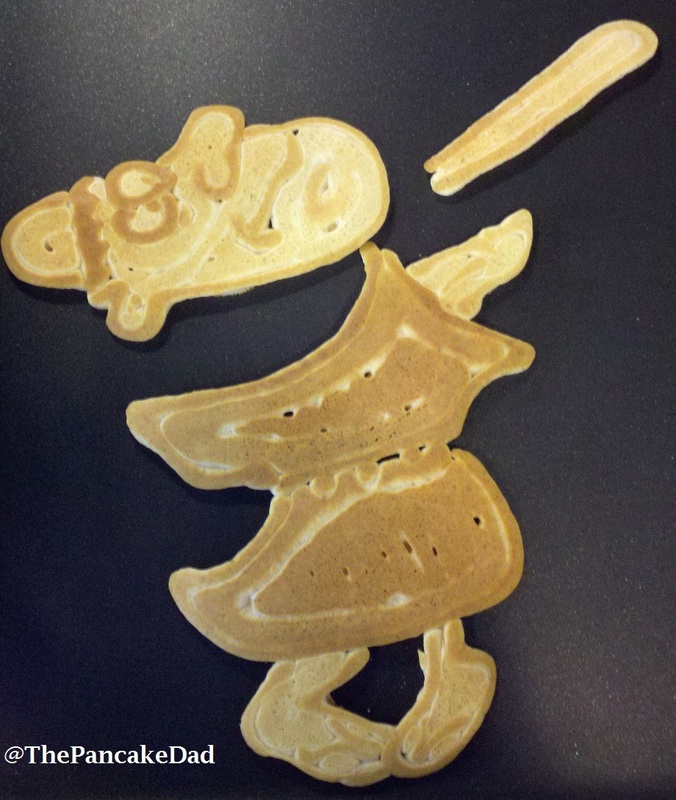 So I decided to make a pancake out of it. 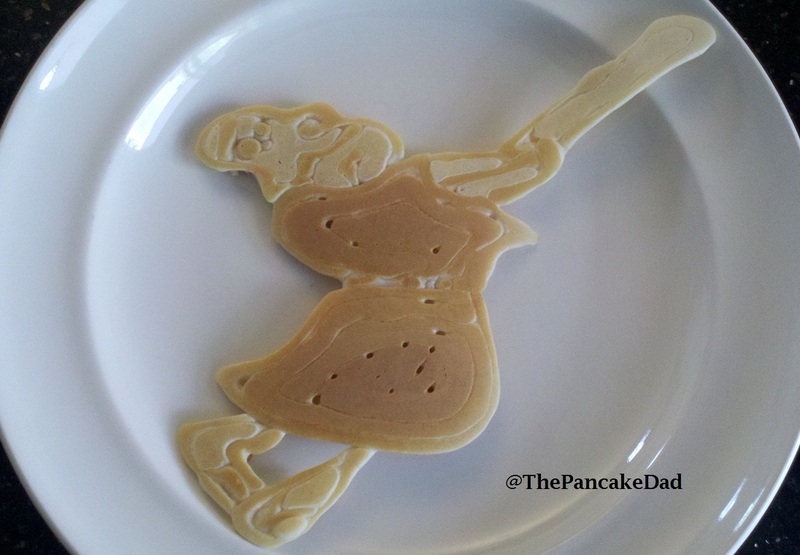 That’s the final pancake you see above. The Swinging Friar has changed a bit over the years, as you can see here. I went with the vintage version, and I actually thought this would be a pretty simple pancake to make. I was wrong. My first effort was a normal sized pancake, and I quickly realized I just couldn’t get the detail needed in the face as you can see below. 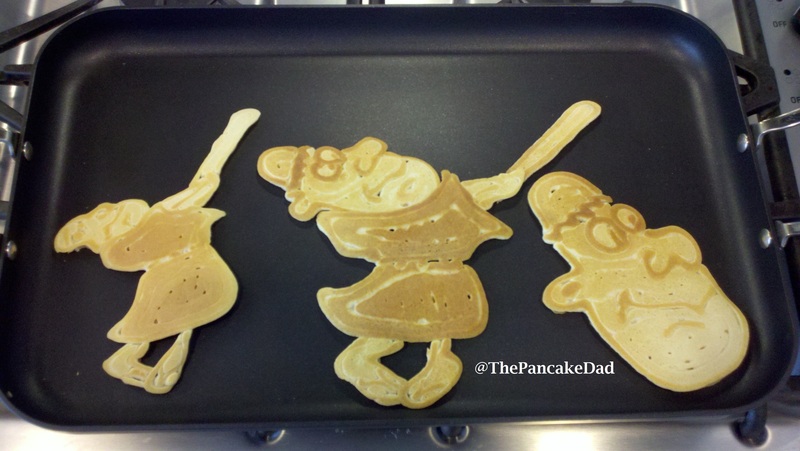 When I was finished… I decide to put all three that I had made on the griddle to give you an idea of their size. Click to enlarge. Like I said… huge friggin’ head on the right… looks like Mark Grant. 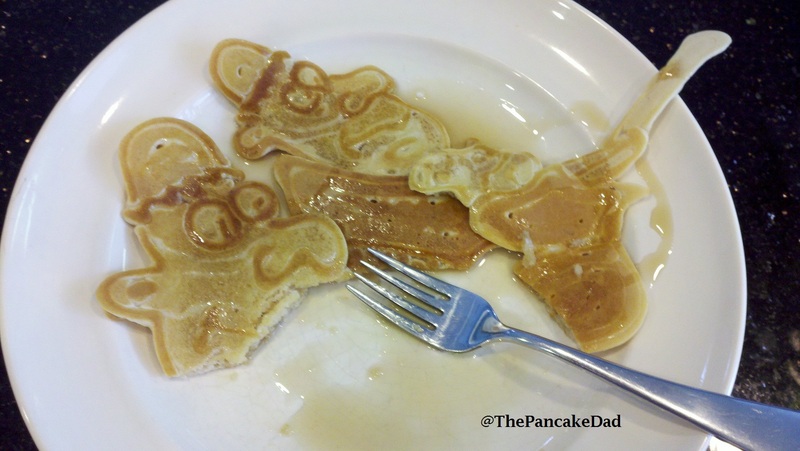 Anyway, I oftentimes get asked if my daughter eats all these pancakes that I make and the answer is, of course, no. She always has pancakes when I make them… which is every Saturday, and sometimes on Sunday…she just doesn’t eat all of them. Mom and Dad take care of the majority. 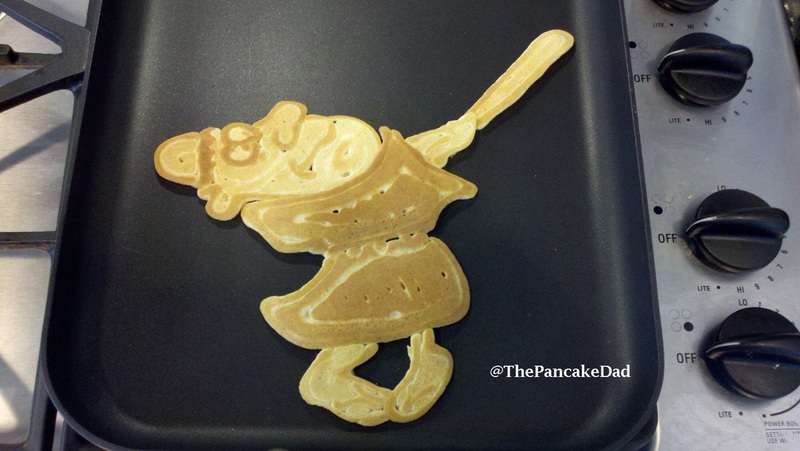 This entry was posted in baseball pancakes, Pancakes and tagged padres pancake, swinging friar logo, swinging friar padres pancake, swinging friar pancake. Bookmark the permalink. hahaha. that’s some kinda niiiice.